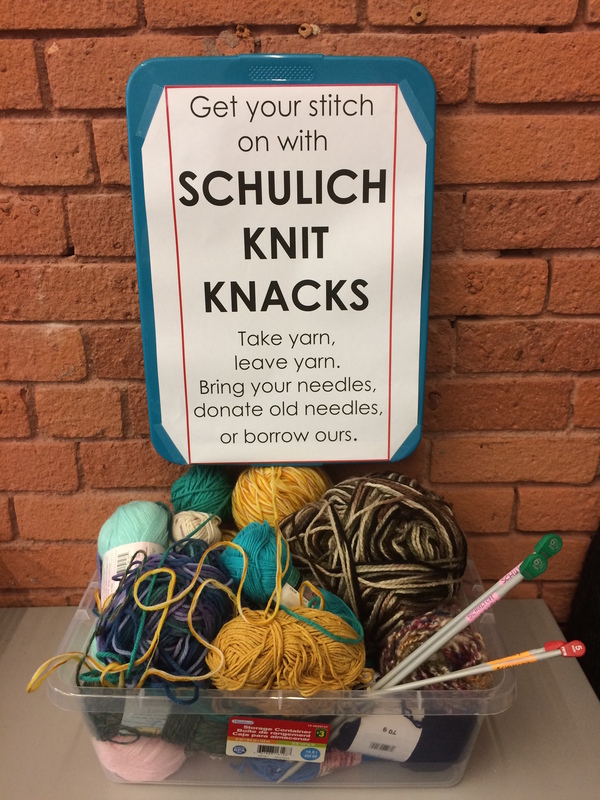 Get your knit on at Schulich! Feeling stressed? 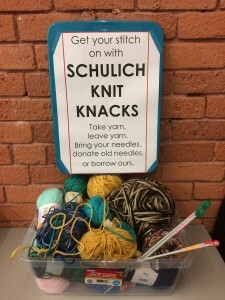 Now you can stitch away your cares at Schulich Library. The Schulich Knit Knacks bin of knitting supplies is located by the Wendy Patrick Collection on the main floor. Take yarn, leave yarn. Bring your own needles, donate old needles, or borrow ours. Blue Ribbon Therapy Dogs visited Schulich Library today. 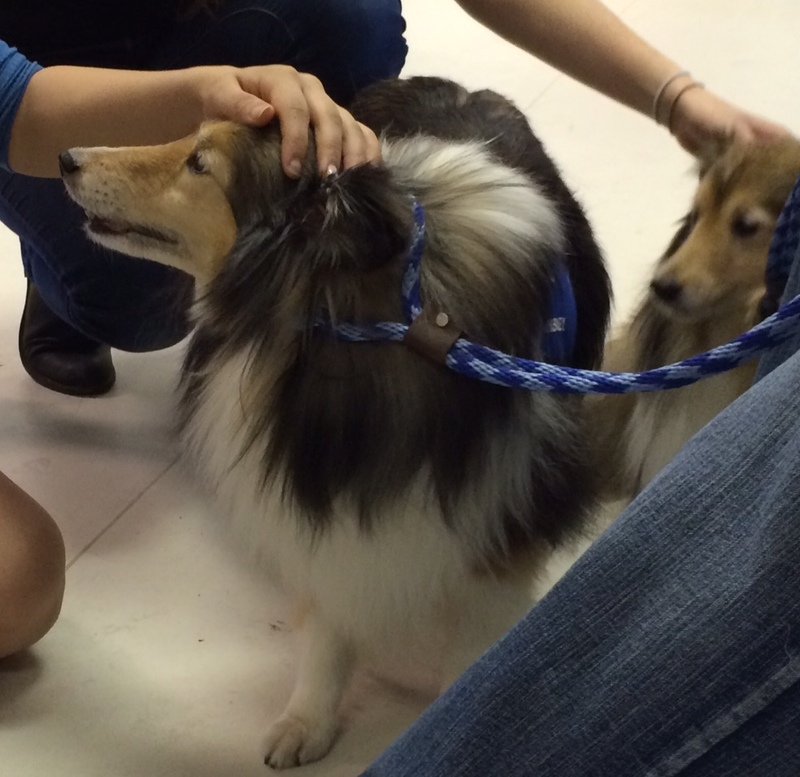 Students spent some quality time with Harriet and her shelties Whiskey & Brandy, Des and his sheltie Cooper, and Julie and her standard poodle, Dancer. 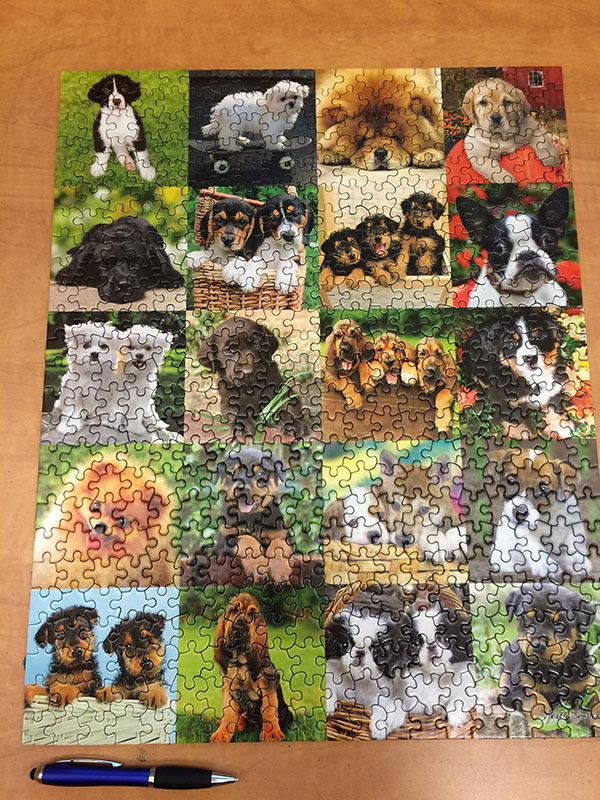 Our display of titles on pet therapy and the human-animal bond will be up through the end of the week, in the Wendy Patrick Collection area. 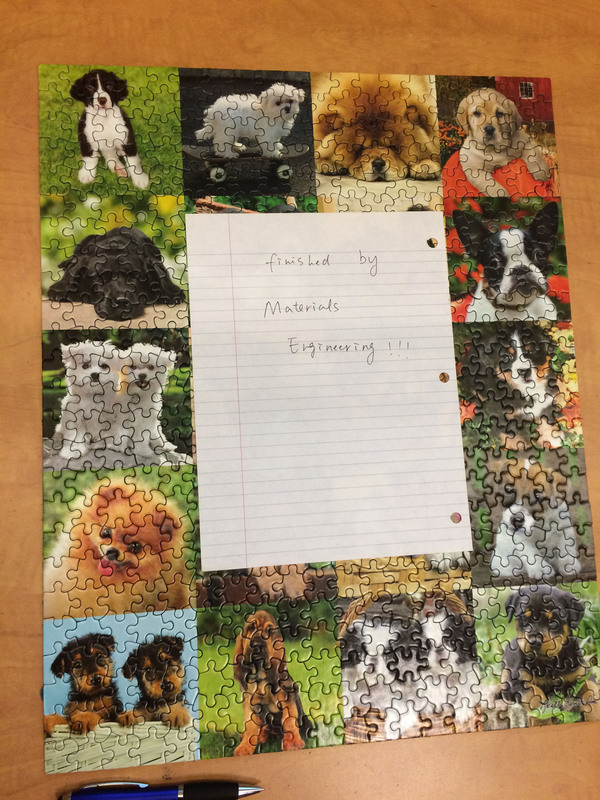 Take a paws from end-of-term stress! 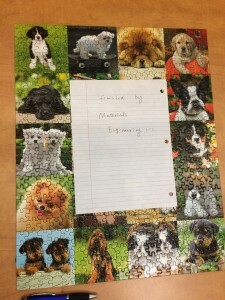 Blue Ribbon Therapy Dogs are coming to Schulich! Come visit Brandy, Whiskey & our other four-footed friends in the library on Wednesday, April 15th, from 1-3 pm. 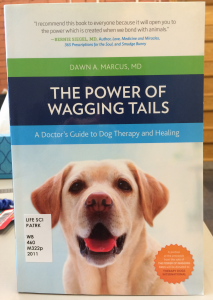 Want to learn more about therapy dogs, cats, horses, birds and more? Discover the world of animal-assisted therapy, and explore the human-animal bond, with titles available at the Library. Click ‘Continue Reading,’ below. 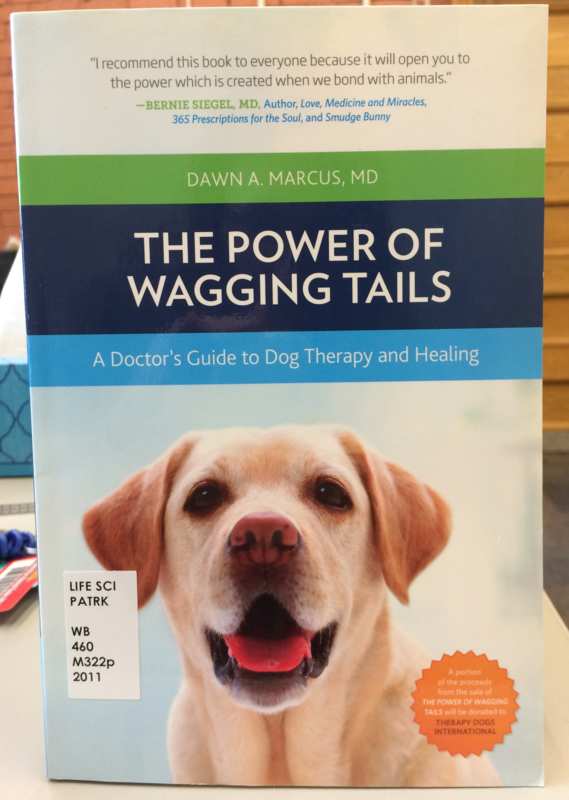 The Power of Wagging Tails, by Dawn A. Marcus (2011) – one of several titles on animal-assisted therapy available at McGill Library. Can’t make it on Wednesday? Blue Ribbon Therapy Dogs will also be at the Humanities and Social Sciences Library from 1-3pm on Tuesday, April 14th. Pop quiz: What’s your go-to review when you’re looking for a summary of high-quality evidence on your research topic? If you answered “systematic review,” you get a (metaphorical) gold star. This study design collects, evaluates and analyzes the literature – often, randomized controlled trials – to see whether the best evidence supports a given hypothesis. Because of their rigor and attention to detail, well-executed systematic reviews are heavy hitters in medical, environmental and sociological research. They challenge assumptions. They change policy. This New York Times essay from March 14* gives a glimpse of how systematic reviews are shaping medicine and medical education. 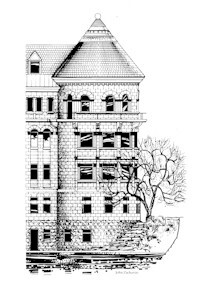 McGill subscribes to the Cochrane Collaboration Library – so users have access to the full systematic reviews discussed in the piece – and thousands more. So go forth. Ask questions. And answer them with evidence. *Stable link to be posted shortly.